OurÂ Stainless Steel FlangesÂ are manufactured from the optimum quality stainless steel as per the strict quality norms. Forged Stainless Steel Flanges provided by us are available in various sizes and dimensions to meet the requisites of the clients. 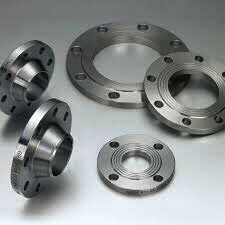 We are well reckoned as one of the overruling Stainless Steel Plate Flanges Manufacturers based in India. The manufacturing of these flanges is done using the latest techniques under the strict vigilance of experts. Moreover, our Stainless Steel Flanges are well tested and therefore, are the perfect option on which buyers can easily rely. Form :Â Slip On, Socket Weld, Blind, Lapped, Screwed, Weld Neck, Spectacle, Slip On Boss, Plate, Plate Blank, Screwed Boss.